Google has started rollout of their new Mobile-first index on March 26, 2018. This is an important change in the way websites are ranked in the Google search engine. This change will have SEO impacts. Google has been increasingly focusing on a Mobile First strategy and this is one more indication of how important Mobile has become. The article titled “Mobile-First Indexing”, was published on the Google Webmaster Central Blog on November 4, 2016. In the article, Google stated that they are testing a new Mobile-First search index. This will change the way Google ranks web pages in its search index. Today, a majority of online search queries on Google are made on mobile devices. This is happening even when people are at home or at work and have access to a desktop computer. We are choosing to use our smartphones to look for online information, make a purchase or contact a business. 94% of people in the USA who own smartphones use their smartphones to search for local information. 77% of mobile searches will occur at home or at work where desktop computers are also available. These statistics show that people are increasingly choosing to use their smartphones to search for information online. They are not using their desktops for online searches even when desktops are available. Using our smartphones is much more convenient. Google’s Mobile-First Index: How Is It Different? How is Mobile-first indexing different from the search index that Google used before? Previously, Google’s search ranking algorithms evaluated the desktop version of a web page to decide if it is relevant to a user search. If it considered the web page to be relevant, it will be listed in the search engine rankings results pages that is presented to the user. This was not an issue earlier when desktop searches comprised the majority of searches. However, with the growth of mobile usage, the majority of online searches on Google today are taking place on mobile devices. 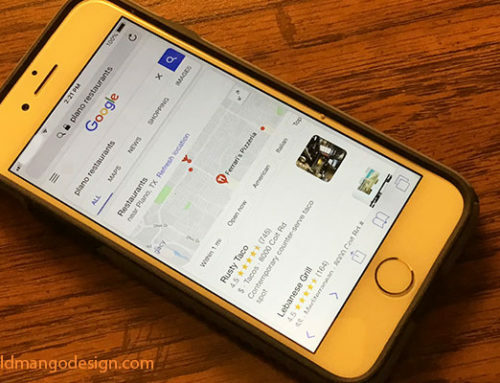 If the Google ranking algorithms continue to evaluate the desktop version of a website, there could be inconsistencies in the information that is presented to the mobile user. For example, assume the mobile version of a website is very different from the desktop version. Google uses the desktop page which has a lot of information to evaluate the page and decides it is relevant to the search. Since the user is on a mobile device, Google then presents the scaled-down mobile page with reduced information to the user. The mobile page may not have any of the information the searcher is looking for. This would cause confusion and would not be a good user experience. With the new Mobile-First search index, Google solves this problem. Google’s search ranking algorithms will use the mobile version of a website as the primary method to rank web pages. The mobile version of the page will be evaluated for relevancy to the search, and then the same page will be presented to the mobile user. This will result in a consistent user experience and a happy customer. 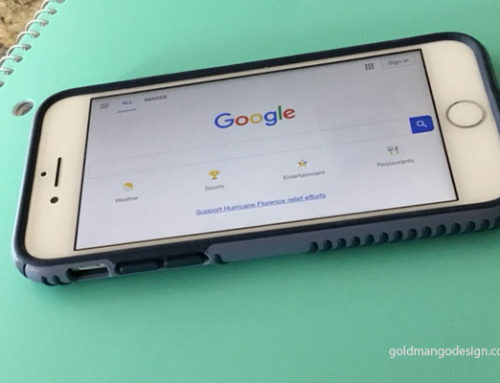 By changing their search index to make it mobile-first, Google provides a better search experience on mobile devices. Google states in the article that their Mobile-First search index will continue to be a single index for both mobile and desktop versions of a website. However, their search algorithms will use the mobile version of the website as the primary method to determine search rankings. If you have a responsive website, you do not need to make any changes to your website for the mobile-first index. A responsive website is designed with responsive web design. The advantage of a responsive site is that the same content is used for both the desktop and mobile versions of the website. Since the new Google mobile-first index will first evaluate the mobile version of the website, there will be consistency in the content that is presented to the mobile user. In addition, a responsive website is mobile friendly and will scale in size to fit the size of the device that is used for browsing- whether it is a smartphone, desktop or laptop. It provides a great user experience on all devices. However, if the desktop and mobile versions of your website have very different content, you will need to make changes to your site. Google recommends using structured data markup for both your desktop and mobile websites, and making sure that the mobile version is accessible to the Googlebot. What if you don’t have a mobile version of your website? According to the Google article, websites that have only desktop versions will continue to be indexed. Search Engine Optimization or SEO is a method of optimizing websites and web pages to improve their rankings in search engines. 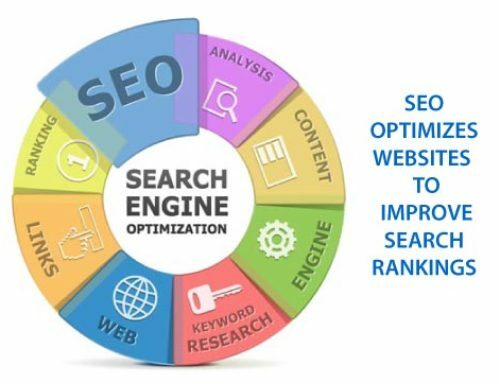 SEO helps increase the quality and quantity of organic or free traffic that your website receives from the search engines. The change to a mobile-first search index makes having a mobile friendly website with responsive design very important for search rankings and SEO. In April 2015, Google changed their search algorithm and stated that they would give mobile-friendly sites a higher search ranking. This means that on Google search queries, responsive or mobile-friendly websites will get a higher search ranking and appear higher on search engine listings results compared to websites that are not mobile-friendly. With this new Mobile-first search index in 2018, Google is making their preference for mobile-friendly websites very clear. Since their new mobile-first search index will evaluate the mobile version of a website first to determine search rankings. How will the mobile-first search index impact the current rankings of websites that have desktop versions only? Will their rankings fall? According to Google, the mobile-first index is only about how they collect information for their index. There are no ranking advantages to being added to the Mobile-first index. if you have a desktop version of your website only, it will still be added to the mobile-first index. However, they are encouraging sites to become mobile-friendly and load super-fast. Both mobile-friendliness and speed are ranking factors on Google to improve your SEO rankings. We spend a lot of time and effort optimizing our websites for SEO to get a higher search ranking on Google. A lot of the search ranking methods used by Google are not directly under our control. However, ensuring that you have a mobile friendly website that loads fast is something you can control. It is one more method to improve your website SEO and rankings in Google search listings which can be very competitive. It is essential for a business website today. Google is rolling out a new Mobile-first search index starting March 26, 2018. They are adding sites that they believe are ready to the mobile-first search index. Sites are being notified of the change through Search Console. Google has been increasingly focusing on a Mobile First strategy. In April 2015, they began to use mobile-friendliness as a search ranking factor. Mobile friendly websites began to rank higher in the search listings. The new Mobile-First search index is just one more indication of how important Mobile has become. Mobile continues to change the way we do business. For a business website, it is important to have a mobile friendly website with responsive design. This is important because a majority of online searches are made today on mobile devices. Your website should be accessible to customers on any browsing device that they decide to use. 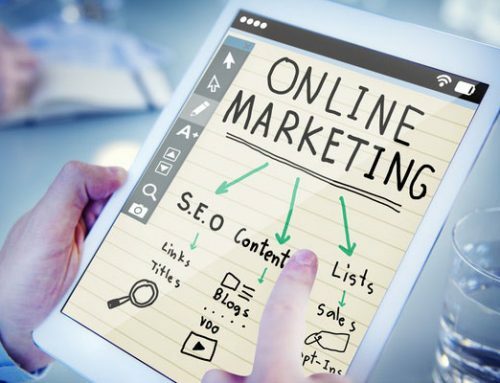 It is also important for SEO or search engine optimization to ensure that your website ranks well in competitive Google search engine listings. If your website is not mobile-friendly, it is time to consider upgrading to a new mobile-friendly web design. First Published: January 30, 2017. Updated: September 17, 2018.